Doing what you love, sometimes means… – Who Eats Like This? Hey, hi there…have you missed me? I didn’t mean to be away so long, but I’ve had to prioritize lately…. Yeah, it’s that time of the year. The world switches into hyper-drive; what’s that about “falling back”? Does that work for you? Me, most days I feel like there’s not enough minutes in the day to get it all done. But I’ve gotten really good at lists…and prioritizing…and not getting distracted. It’s hard, with the majority of my businesses being online. Facebook, Twitter, LinkedIn, Instagram, Pinterest, Google+ ….all things I help my clients navigate through, all things I have to stay away from myself, for fear of falling down the rabbit hole and next thing I know, I’ve wasted an hour (or more!) of my life. Do you feel this way somedays? Don’t get me wrong, I LOVE what I do! I wouldn’t change any of it, not for a minute! Oh, expect for maybe getting to do more of this…cooking & sharing with you! 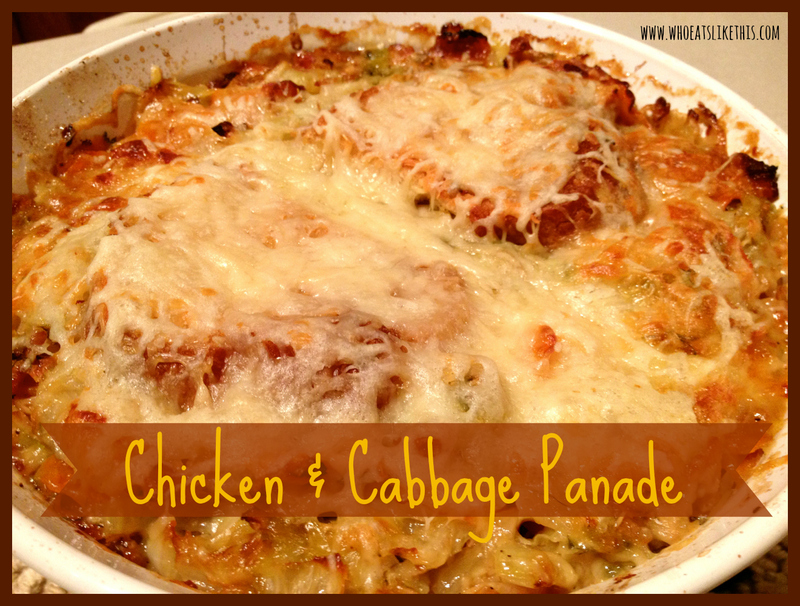 We LOVE this recipe and I hope you will too! Oh and please forgive the crappy iPhone pictures…I had just barely enough time to take them at all! So, back when I was younger, alot, and without kids, and not married, I worked at the most wonderful Bed & Breakfast in the upper Midwest. If you haven’t been, you must go….it’s called The Rosewood Inn, in Hastings, Minnesota. I’ve stayed in many of the rooms, and cleaned all of them at one time or another. When you work at a B & B, you end up doing many different tasks, something I’ve always enjoyed. I learned to clean rooms (and almost every one of them had a fireplace-wood burning and a jacuzzi, so I got a really good at cleaning both!) do laundry, and not everyday, but many, I would find myself at the end of my shift, helping to prep the welcome snack (fresh baked cookies) and sometime’s the evening’s meals. If my shift started early enough, I would get to make breakfast…and oh, how I loved those breakfast’s!!! Swiss Biscuit Eggs… Popover Pancakes…Minnesota Wild Rice Quiche…Caramel Apple Bread Pudding…oh my! But dinner is where I fell in love, with the recipes that I still make today. I learned my love of Spinach Salad with Strawberries, fresh Parmesan topped with a sweet & sour Poppy seed dressing. I sautéed my first Shallots there…made my first ever Mushroom Pate which I placed gently inside my first ever Beef Wellingtons. Oh. My. Gosh. We used to make this crazy dish called Pasta Torte; it was a spaghetti dish, mixed with lots of other delicious things (herbs, cheese, including cottage cheese etc.) and baked in a springform pan. I’ve never actually made it at home, but have the recipe if you want to give it a shot! I just might have to now that I am thinking about it…give my pans another use besides cheesecake! Once you’ve chopped everything up, heat up a deep sauté pan, and add the butter & olive oil. Once hot, add the onions and sauté until they start to turn translucent. Then add the carrots. Sauté this a bit, maybe five or so minutes and then add the cabbage. I like to cook this awhile, until everything is tender. It will cook a bit more in the oven, but I like most of the work to be done in the pan first. Season with salt, pepper & chopped garlic. Remove from heat. Preheat the oven to 350 degrees. While you are sautéing the veggies, you can toast your bread, either in the toaster if you prefer, or placed on a pizza/cookie sheet and under the broiler. 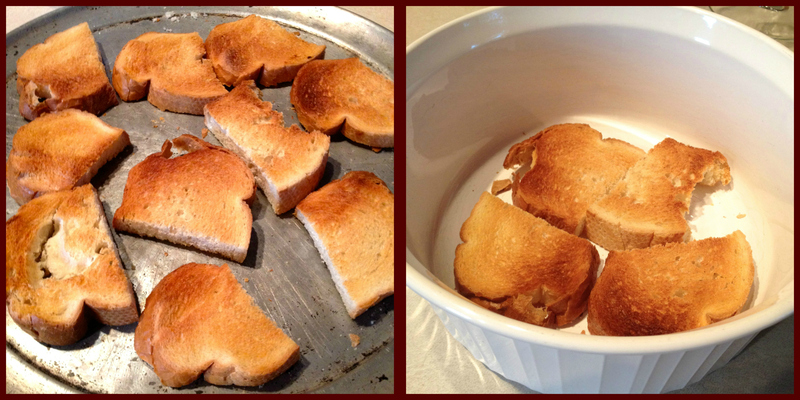 Get both sides golden brown…this just helps to add flavor and keep the bread from getting too soggy and disintegrate in the dish. Take a casserole dish and place a layer of toast in the bottom. 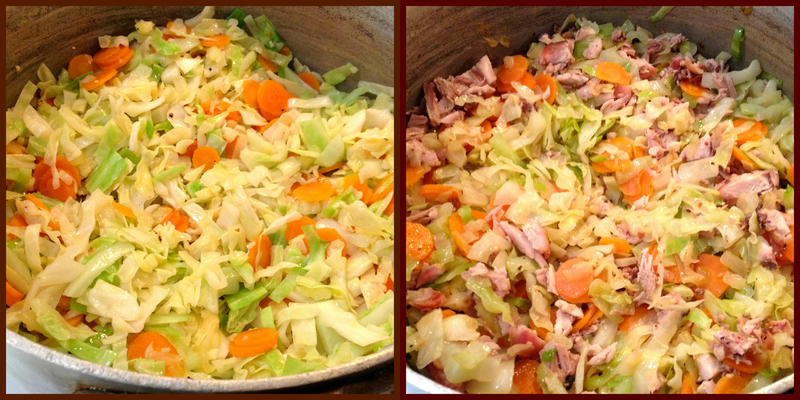 On top of the first layer of toasts, add a layer of the cabbage/carrot/onion mixture. Then another layer of toasts, and sprinkle some of both cheeses over this. Continue this process, until you’ve reached the top of the casserole dish and hopefully run out of ingredients! (oh, also, I like to be sure the very top has a couple pieces of toast, so they get topped with cheese) Take the chicken stock/broth and pour slowly over the dish, attempting to get all of the dish somewhat saturated. It shouldn’t be too “soupy” if that makes any sense. You want moisture, but not soupy…got it? Pop it in the oven for 20 minutes. After the first twenty minutes, carefully pull out and place more cheese on top, if you have any left….so you are making a second crispy layer of cheesy goodness! 🙂 Pop back in the oven for another 20 minutes. You’ll know it’s done, when its bubbly and the cheese is a gorgeous golden color. Remove from oven and let cool for ten minutes or so. It will be easier to remove from the dish if you wait a bit. Some of my other fall favorites I want to share with you……. Are you looking for a new twist on the traditional Chili? Then you have to try The Realistic Housewife’s Apple, Squash & Sausage Chili… It’s SO good! And if you haven’t had your fill of Pumpkin recipes yet, be sure to give Ambitious Kitchen’s Spicy Black Bean Chicken Enchiladas with a Pumpkin Sour Cream Sauce a whirl. Fall with a Mexican spin! Fall always gets me craving anything with (red) Cabbage and I blogged about Red Cabbage braised in Cider & Beer for one of my Beer for a Year posts last year. 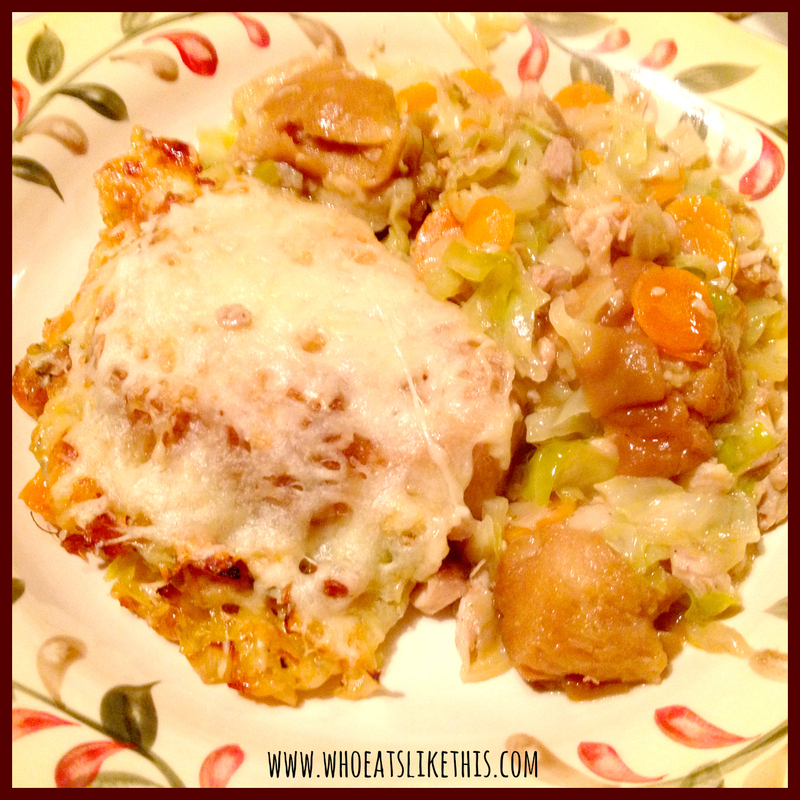 More cabbage = fall deliciousness! I am looking forward to trying these Crispy Risotto Balls with Truffle Honey this holiday season! I’ve pinned it to my “Small Bites” Pinterest Board, which has lots of other great “small bites” ideas! Well lovelies, until next time…not sure when that will be…but hopefully soon! Previous Post It’s Minnesota State Fair time…visiting with a farmer & more! Next Post Brine that bird Baby!